Which Card reader works with which processing service? To purchase Swipers, you can follow the links below. *NOTE* : To use either Swiper, you must first have the corresponding Service setup (PayFlow or WePay). 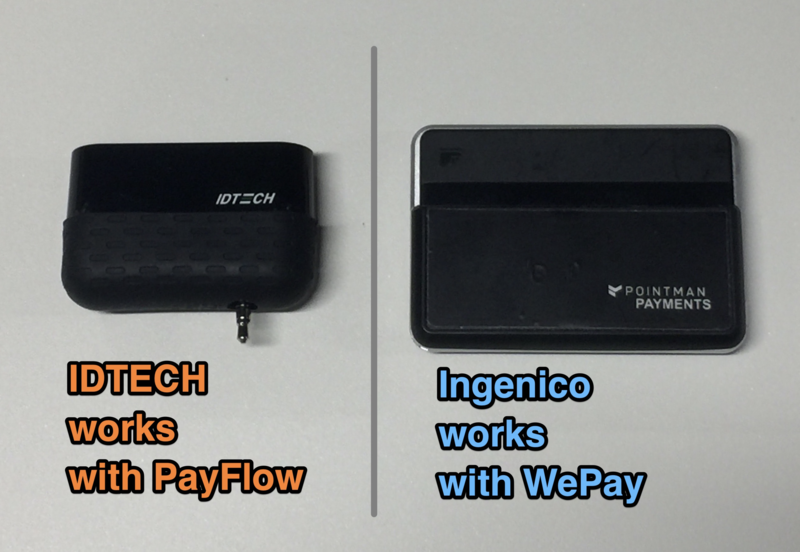 To learn about the differences between WePay and Payflow, please click HERE. To learn how to setup WePay click HERE. To learn how to setup PayFlow, please let us know and we will send you the documentation and start the setup process for you.